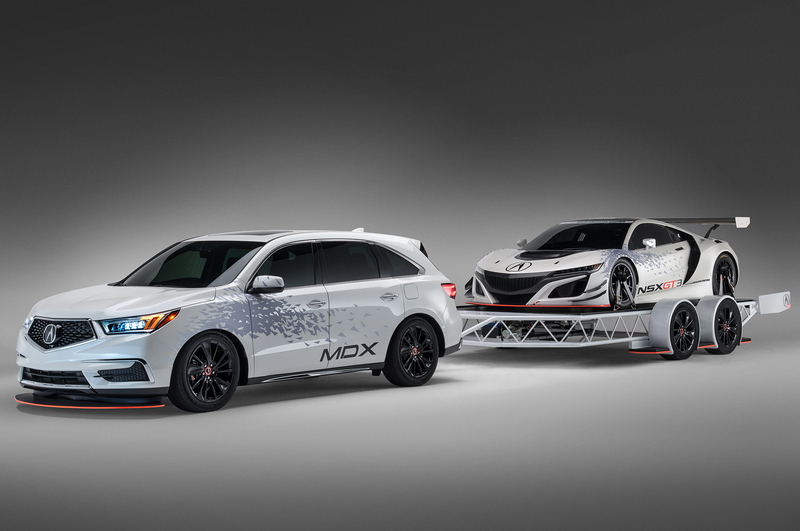 Acura is heading to next week’s SEMA Show and its taking along its NSX GT3 race car, along with a customized MDX and TLX. The NSX GT3 race car was unveiled earlier this year and is set to race in a number of North American racing series in 2017. 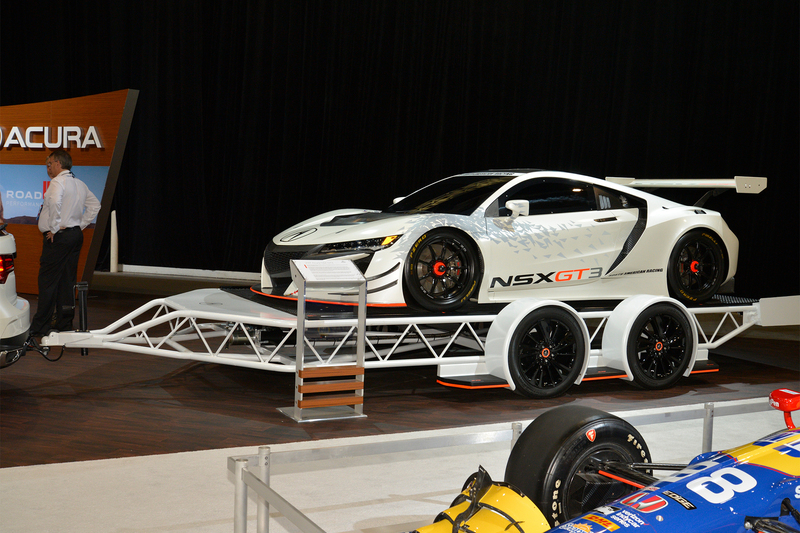 As previously reported, the NSX GT3 doesn’t have the hybrid hardware used in the production version. The 3.5-liter, twin-turbo V-6 remains and is said to produce no fewer than 500 hp. All that power is sent to the rear wheels via a six-speed sequential gearbox (replacing the production version’s dual-clutch unit). 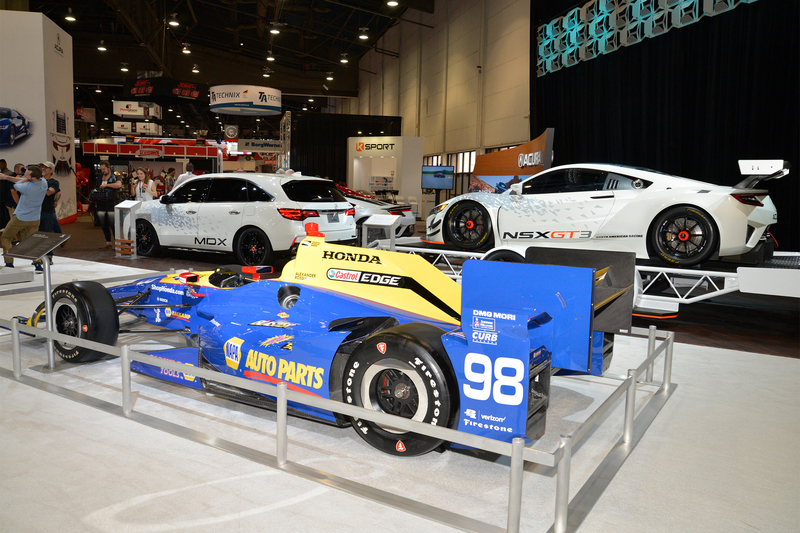 The NSX racer will be towed to the SEMA booth by a modified 2017 Acura MDX that’s been lowered and is riding on 20-inch wheels pulled straight from the Acura accessory parts catalog. 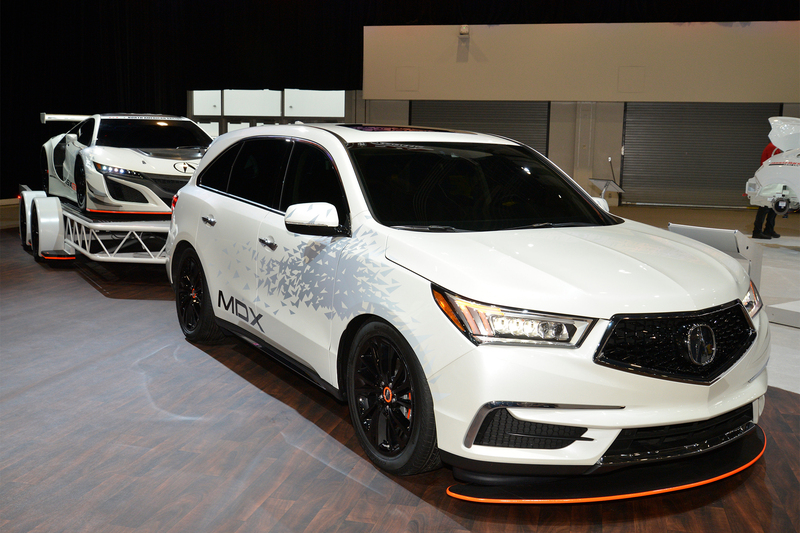 The MDX also gets an NSX GT3-inspired body kit and decals. Even the custom trailer was built with the race car in mind. At the show, Acura will announce the driver lineups for both the Pirelli World Challenge and IMSA WeatherTech SportsCar Championship series. Also making an appearance at Acura’s SEMA booth is a TLX sedan with a GT Package. The package attempts to make a connection to the TLX GT race car, but you won’t find the racer’s twin-turbo V-6 under the hood. Instead, the TLX GT Package comprises visual upgrades including front and rear spoilers, side sill garnishes, and available 19-inch wheels.